An October trial date was set Friday for two ex-Fullerton police officers charged in connection with the beating death of a Kelly Thomas, a mentally-ill, homeless man. Orange County District Attorney Tony Rackauckas said Manuel Anthony Ramos, 39, and Jay Patrick Cicinelli, 41 will face a jury trial on October 18, according to 89.3 KPCC. OCSD Bomb Squad investigates white powder in Fullerton envelope – brujeria? The Orange County Sheriff’s bomb squad and a hazardous-materials team were called to the Fullerton Police Department Sunday afternoon after a resident turned in an envelope containing a suspicious white substance, authorities said, according to the O.C. Register. SANTA ANA – A homeless man was sentenced today to 26 years to life in state prison for murdering another transient man by hitting him with a piece of wood. Sergio Camacho Gonzalez, 38, was found guilty by a jury Feb. 13, 2013, of one felony count of murder with a sentencing enhancement for the personal use of a deadly weapon. “An Orange County judge has thrown out a case against three men – including one who faced 25 years to life in prison for robbery – after a Fullerton police video that could have shown what happened was deleted,” according to the O.C. Register. The official Fullerton Police News blog did not mention this story anywhere on their blog. And the Fullerton Police Department’s website also fails to mention this case although it does have an article about Fullerton Police being cleared in another lawsuit. Finally, the Fullerton Police Department’s Facebook page also doesn’t mention this case, but they do note that this week is National Police Week. The embattled Fullerton Police Department has launched their own blog, called the Fullerton Police News. Curiously they are hiding their RSS feed, which makes no sense if they are trying to communicate with the public. And while they listed a few Fullerton blogs they didn’t list ours. 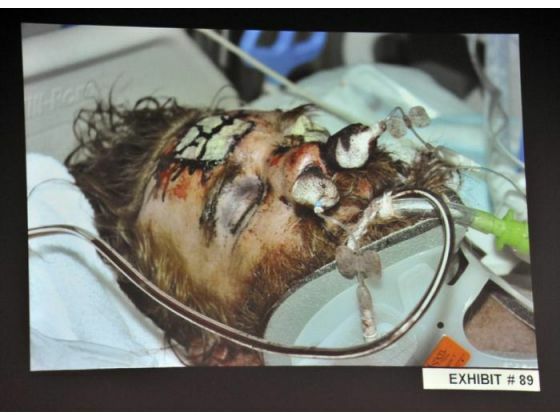 Remember those awful Fullerton cops who beat up and killed Kelly Thomas, a homeless man? One of the cops who was at that incident but not charged in it – moved toward a man, Veth Mam, who was filming an altercation, in July of 2011, knocking a cellphone camera out of his hands. A federal jury is expected to hear closing arguments Monday in the lawuit filed by Mam, who was arrested, prosecuted and acquitted of misdemeanor charges, including battering and assaulting a police officer, according to the O.C. Register. Click here to read about what happened in that incident, as reported by a bail bondsman’s blog. Mam is suing three Fullerton officers in the U.S. District Court in Santa Ana, for constitutional rights violations and malicious prosecution. Will a jury signal to cops it’s wrong to harass citizens videotaping their actions? Apparently several Fullerton residents learned nothing from the murder of homeless resident Kelly Thomas by a few Fullerton police officers. Supervisor Shawn Nelson, who is currently the Chairman of the Orange County Board of Supervisors, has pushed the County into paying $3.1 million for a 29,000-square-foot building on two acres on South State College Boulevard, to be used as a permanent year-round homeless shelter, according to the Voice of OC.